Timelapse videos have become increasingly popular in recent years, and it's easy to see why. Not only is it a really cool way to showcase the dynamic world around us in a way that single still images cannot, but they are also a lot of fun to shoot and create. Shooting and processing timelapses isn't all that complicated; however, there are situations where it can present some unique challenges. This is particularly true when there are significant exposure changes during the timelapse sequence, which can make getting smooth transitions difficult. LRTimelapse is a tool on the post-production end that helps achieve those smooth transitions. LRTimelapse is the most powerful and certainly most fully-featured timelapse software on the market. But is it worth the money? Honestly, it's hard to argue with free. Take the software for a test drive using the free evaluation version to see how you like it and if it fits into your workflow. If you shoot a lot of timelapse photography – and especially timelapses with wild exposure changes throughout – then I think you will find that LRTimelapse is a valuable tool to have in your post-processing toolbox. 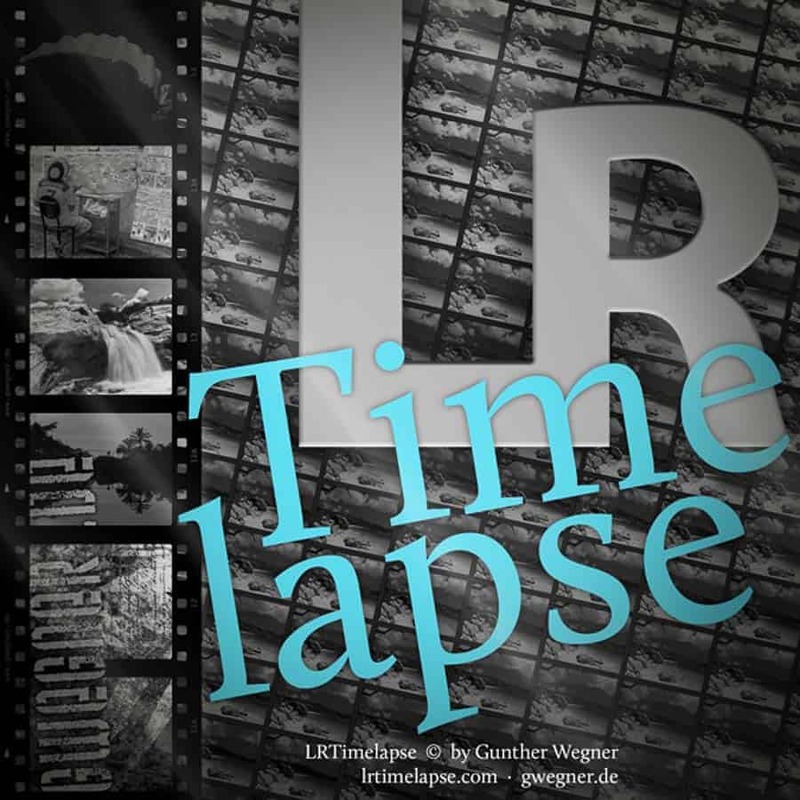 LRTimelapse (LRT) was developed by Gunther Wegner in 2012. Gunther is based in Germany, is a well-known timelapse photographer, and pioneer in day-to-night and night-to-day shooting (the “Holy Grail” of time-lapse photography). The current version of LRT is 4.8, and is available as a download for Mac and Windows PCs. Before going any further, let's set the record straight. Contrary to popular belief, the “LR” in LRTimelapse does not stand for Lightroom. I know, it seems like it should since the software integrates so closely with Lightroom to make the timelapse video. The “LR” actually stands for Level & Ramp, which refers to the ability to ramp image settings to compensate for dramatic changes in exposure levels throughout a timelapse sequence. More on that in a minute. There are many options for creating timelapse videos from a sequence of still images. Some cameras even have a menu function that allows for creating a timelapse video right in-camera. Even my iPhone can do that. LRTimelapse is another tool for the digital toolbox that is used for creating timelapses. However, there are a few things about LRTimelapse that make it much different – and much more powerful – than all the other software out there. Shooting a timelapse sequence during the day or at night really isn't very complicated. The real challenge is shooting at sunrise or sunset, when the amount of light in the scene is rapidly changing. As the light is changing, the exposure settings on your camera have to be changed to compensate. Sounds easy, right? Actually, it is fairly straightforward once you develop an efficient workflow. The problem comes when it is time to process the images and create the timelapse video. The constantly changing light and camera adjustments will result in a video with lots of flicker. In other words, the exposure in the video will jump up and down instead of having gradual transitions as the light changes. To combat flicker, you could manually adjust every image in post, but that would take forever. This is where the real power of LRTimelapse comes in. Using the software, you have the ability to take a sequence of images with drastic exposure changes throughout, manually edit only a handful of the images, and create a seamless timelapse video with little or no flicker. Using the “Holy Grail” technique can result in professional-looking day-to-night or night-to-day timelapse videos. 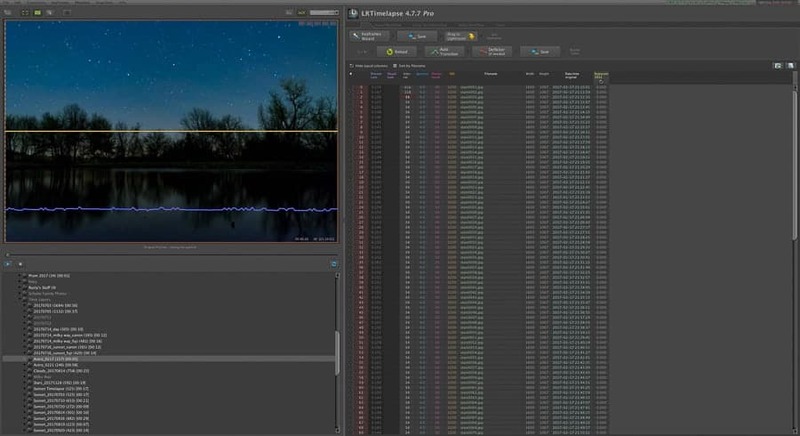 LRTimelapse utilizes keyframes to achieve smooth transitions. There may be only a single keyframe or as many as 20, depending on how much the light changes throughout the image sequence. The keyframes are edited to taste in Lightroom or Adobe Camera Raw, and the edits are saved in .xmp sidecar files. LRTimelapse then reads the metadata from the keyframes and applies gradual edits to the intermediate images between the keyframes to create a smooth transition in exposure. The important thing to note is that you only have to edit a small number of images. LRTimelpase does most of the work for you. Check out Jim Harmer's Landscapes in Motion course – part of the 2018 Photography Steal – where he gives a detailed look at how to incorporate LRTimelapse into your workflow. Using LRTimelapse is an exercise in patience. It is not readily apparent where to start or what to do upon opening the program for the first time. If you are a first-time user, expect to put in some time getting to know the software and how it works before being able to get good results. This can be difficult. I admit that before really spending the time with LRTimelapse for this review, I had dabbled with it a few other times only to give up in frustration. Mind you, that was my own fault for not taking the time to learn how to use it. Luckily, there are some great tutorials on the LRTimelapse website to help you get started. Be sure to start there before really diving into the software. Due to the popularity of the program, there are many photographers using it and putting up some really good and helpful videos on Youtube as well. Once you get the workflow down – particularly how LRTimelapse integrates with and uses the power of Lightroom – it becomes much easier to get the results you want. The LRTimelapse user interface may not be intuitive, but with some practice (and a lot of patience), it is pretty easy to use. There are essentially three different versions of LRTimelapse – the free evaluation version, private license, and pro license. The software is the same in each version, but the available features in each are a little different. If you purchase a licensed version of the software, then minor updates (i.e., 4.6, 4.7) are free. Major upgrades to the next version number (i.e., 5.0) would be available at a discount. The maximum number of images that can be used for a timelapse sequence is 400. Maximum output resolution is 1080p. This probably isn't a big deal for most photographers. It can only be used on one computer. No commercial use is allowed. For example, you cannot create a timelapse video with the free version, then sell it as stock. If you decide to purchase a license, then this version allows an unlimited number of images for timelapse sequences. The cost for the private license is 99.00 € (or about $117), and the maximum output resolution for this version gets bumped up to 4K. The private license version allows you to download and use the software on two computers and email support is also available. However, commercial use is not allowed with this license, so if you want to sell your creations, you'll need to upgrade to the pro version. The pro version of LRTimelapse pulls out all the stops, but it comes at a price. This version will set you back 249.00 € (or about $295). The feature set included with the pro license is quite extensive, including output resolution up to 8K, watermarking for exported videos, and a customizable logo image. This version allows the commercial use of exported timelapse videos. As an added bonus, the pro license also includes a free copy of Gunther's ebook “Timelapse Shooting and Processing”. (Note that the ebook can be purchased separately for a little over $10). Deciding which version you get will depend on a couple of factors – how much timelapse photography you do and if you want to sell your work. If you shoot a lot for timelapse, then LRTimelapse is a great tool to have. It's great to have the free evaluation version to try out the software to see if it's right for you. Start there. Even with the limitations, the free version is still very powerful. If you want a longer timelapse video (i.e., more than 400 images), then process multiple clips using LRTimelapse and then merge them together in Photoshop or other video editing software. After trying out the software for a while, if you find that it isn't working well for your workflow or isn't something you use frequently enough, then nothing is lost. If you do use it frequently, and want to remove some of the limitations, then bump up to the private license. Sure, free is nice, but it's also good to support our fellow photographers so they can continue developing better tools for us to use. Plus, you can always upgrade later if you want to sell your work. The question of, “Is it worth the money?” is difficult to answer for all photographers. If you do a lot of timelapse photography with exposure changes that cause flicker, then I would say it is worth the money. It is the best software available for dealing with the lighting transitions at sunrise and sunset. Manually editing each image is an option, but is not very practical. The amount of time saved by using LRTimelapse makes it worth the investment. It may not be the most intuitive or the easiest software to learn, but for creating professional quality “Holy Grail” timelapse videos, it is a necessity.